2010’s Sonic & Sega All-Stars Racing was a pleasant surprise, but then so has just about every game by developer Sumo Digital based on a Sega franchise. After all, this is the studio that managed to breathe life into the neglected Outrun series with 2004’s OutRun 2. The studio has also been deft in its treatment of Sega’s stable of mascots, which have seen better days since the publisher’s halcyon days, starting with 2008’s Sega Superstars Tennis. While Sega Superstars Tennis took inspiration from Nintendo’s Mario Tennis, Sonic & Sega All-Stars Racing took a stab at the racing formula popularised by Mario Kart. 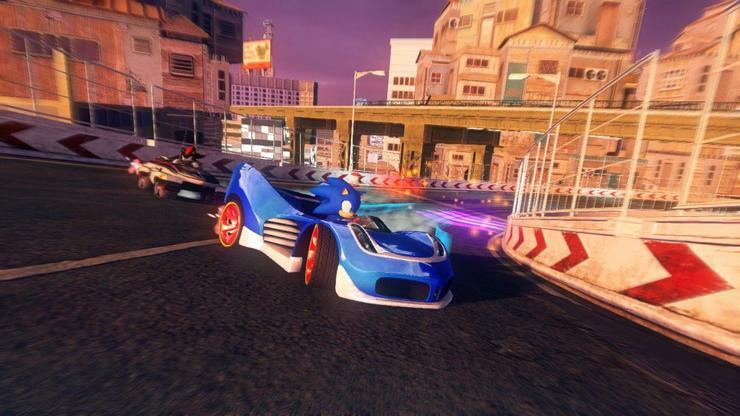 For the most part, Sonic & Sega All-Stars Racing was a successful attempt, which was no surprise considering Sumo Digital’s long experience with developing racing titles. The series is back for another round with Sonic & All-Stars Racing Transformed, which aims to be bigger and better than before with the introduction of transformable vehicles. From a technical perspective, the game has received a visual boost from the prior instalment, with detailed track environments and vehicles. The main draw of the series has been the various game characters from Sega’s past and present, and the sequel comes packed with over 20 characters, with some platform specific ones as well. For example, the Xbox 360 version allows players to use their dashboard Avatar as a driver. The enjoyable racing gameplay from the first game is mostly intact, including the tight drifting mechanic. The inclusion of the new water and air based track segments is mostly a hit but sometimes a miss. For example, the player’s vehicle transforms into a boat and plane depending on the terrain, but so does the handling of the said vehicle. This switch can make navigation of certain levels during tight races somewhat difficult. As the player advances further into the championships, this aspect becomes a challenge as driving precision and mastery of weapons becomes imperative. In fact, the game difficult ramps up to the point where any mistake in the later races could cost you a spot in the top three, leaving the player with no choice but to restart and try again. - Nice looking game that runs at a steady frame rate. - Music and sound effects are appropriate for the different levels and characters. - Famous Sega characters are accurately portrayed in the game with matching vehicles. - Transformation mechanic puts a fun spin on the earlier racing mechanic. - Racing gets difficult at certain points later in the game, resulting in frustration. - The handling of the boat and aircraft vehicles could be a little bit tighter. Sonic & Sega All-Stars Racing is not only an enjoyable racing title, but it sets the bar high for what a game with Sonic in the title should aspire to.